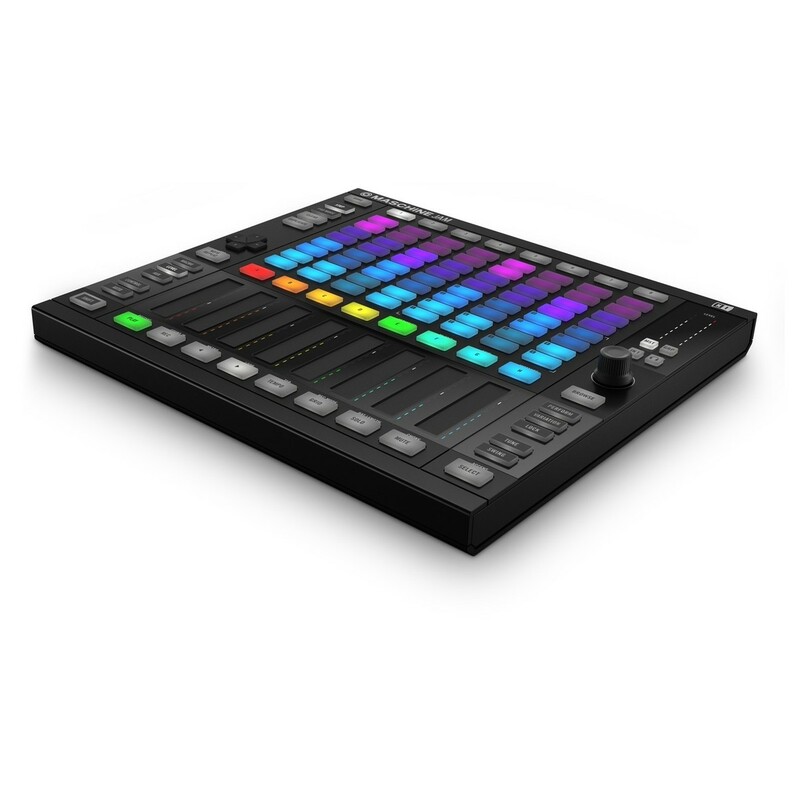 The Native Instruments Maschine Jam is an innovative new addition to the Maschine series, designed for production and live performances. 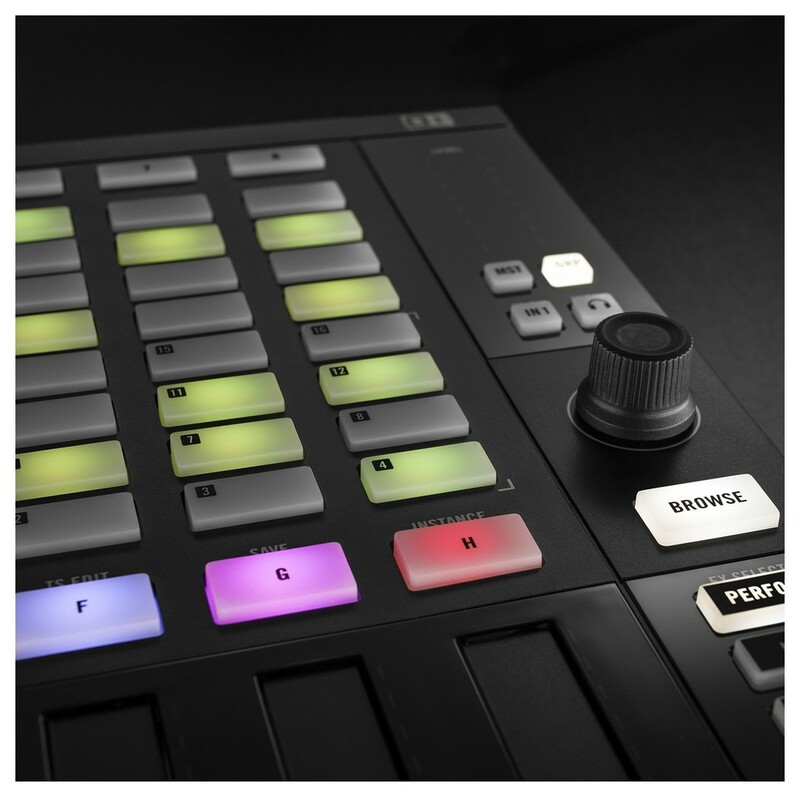 You can create everything from drum patterns to melodic arrangements using the Maschine Jam's comprehensive controls and buttons. One of the most unique features is the new LED-guide Smart Strips which allow you to edit and shape your sound with optimal control. The 8x8 multi-colour click-pad matrix gives you the classic feel of drum pads with added functionality, allowing you to create everything from percussive loops to chords and sequences. 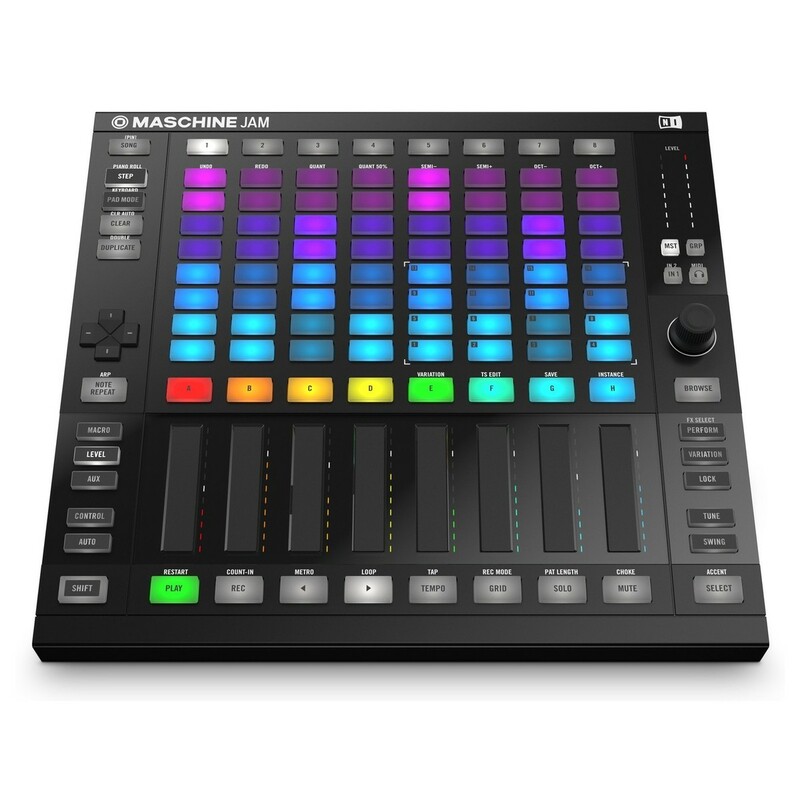 Additionally, the Maschine Jam comes complete with Maschine 2.5 software, a 9 GB sound library and a free copy of Komplete 11 Select. 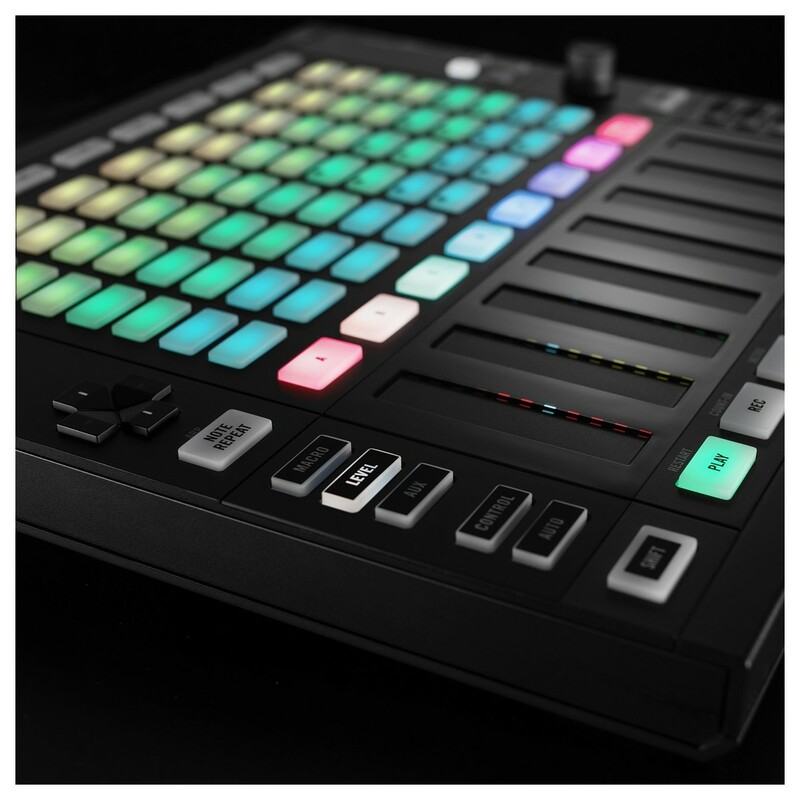 Get three expansions for your Maschine. Expansions offer new ways to create music via genre focused bundles of presets, samples, samples and one shots. It's the perfect way to kick start your music making. When purchasing Native Instruments Maschine Jam you will receive three expansions of your choice from a range of styles and genres. Just register your Maschine during the month of April 2019 and activate voucher sent to your email address. Just log in, register your product, get your expansions, and start creating. One of the most useful features on the Maschine Jam is the one-touch access to patterns and scenes, which allows you to recall patterns instantly without the need for tedious navigation between parameters and patterns. The touch-sensitive encoder also prompts the software to display the corresponding parameter for added convenience. The advanced multi-track step-sequencer allows you to use up to 8 sounds simultaneously for more versatile performance and production options. You can tweak up to 8 parameters at once with two hands utilising the dual-touch Smart Strips. 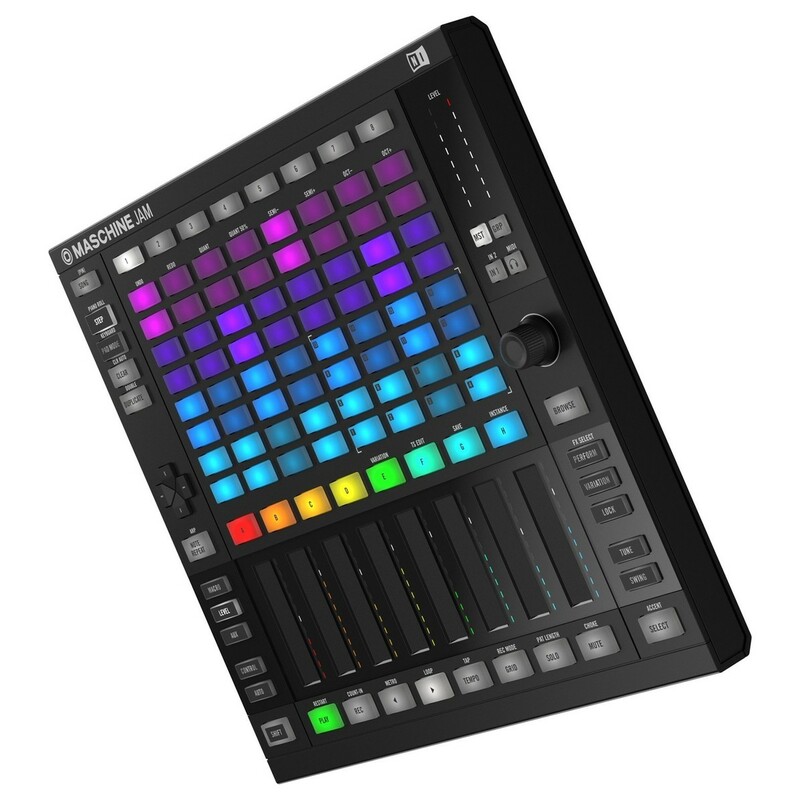 The Maschine Jam is compact and lightweight in its design, making it perfect for taking to the studio and to gigs. 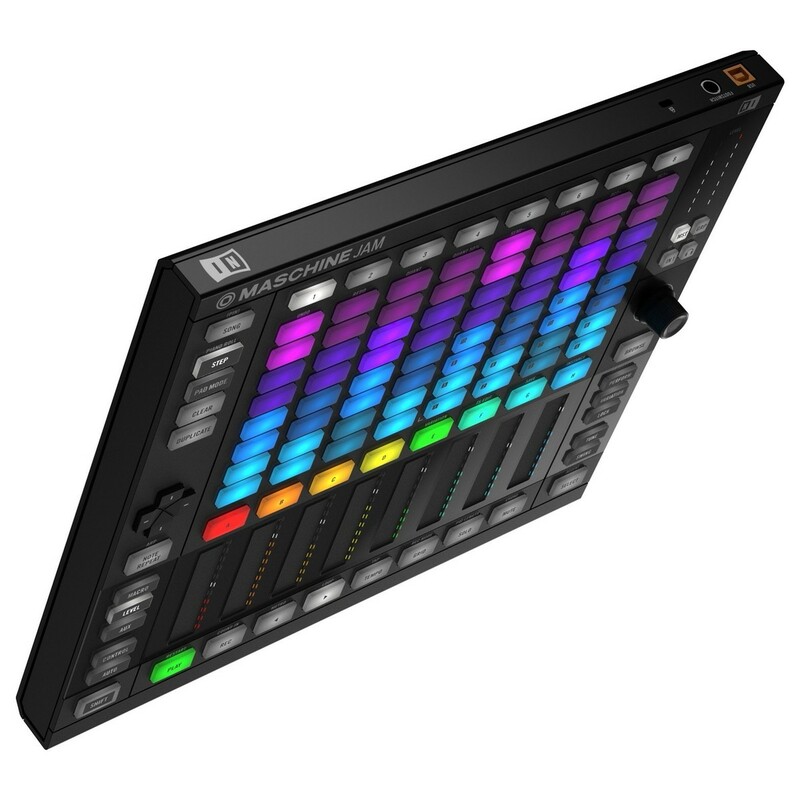 The multi-colour click-pad matrix allows you to organise your sounds with ease thanks to the built-in array of LED colours, as well as being ideal for low light environments such as studios and nightclubs. The controls and parameters have been meticulously selected and positioned, delivering an ergonomic configuration that lays everything out in an intuitive user interface. 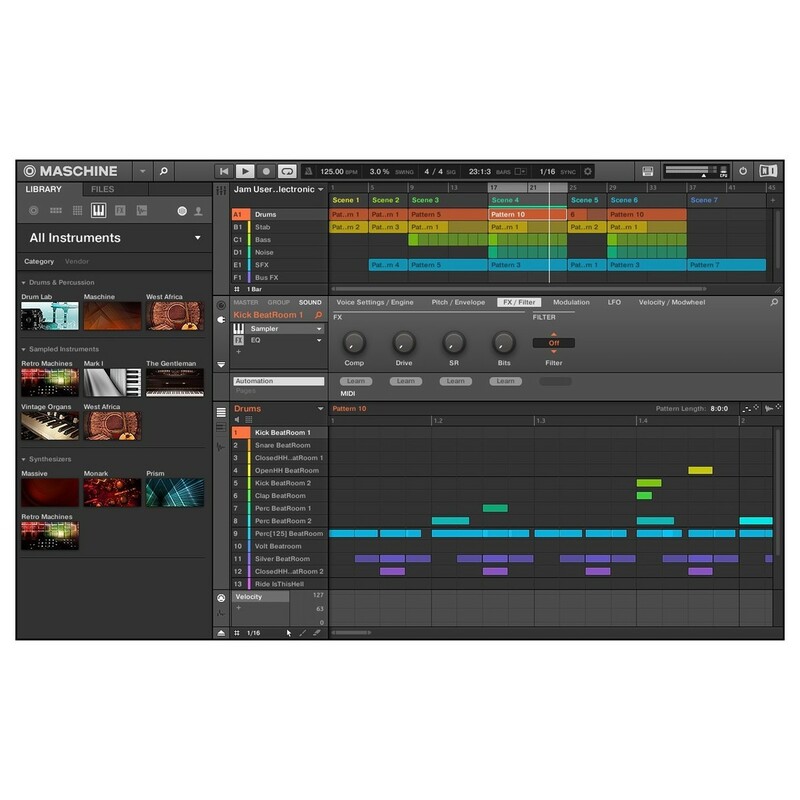 The Maschine Jam comes complete with free software including Maschine 2.5 and a 9GB sound library to get you started. 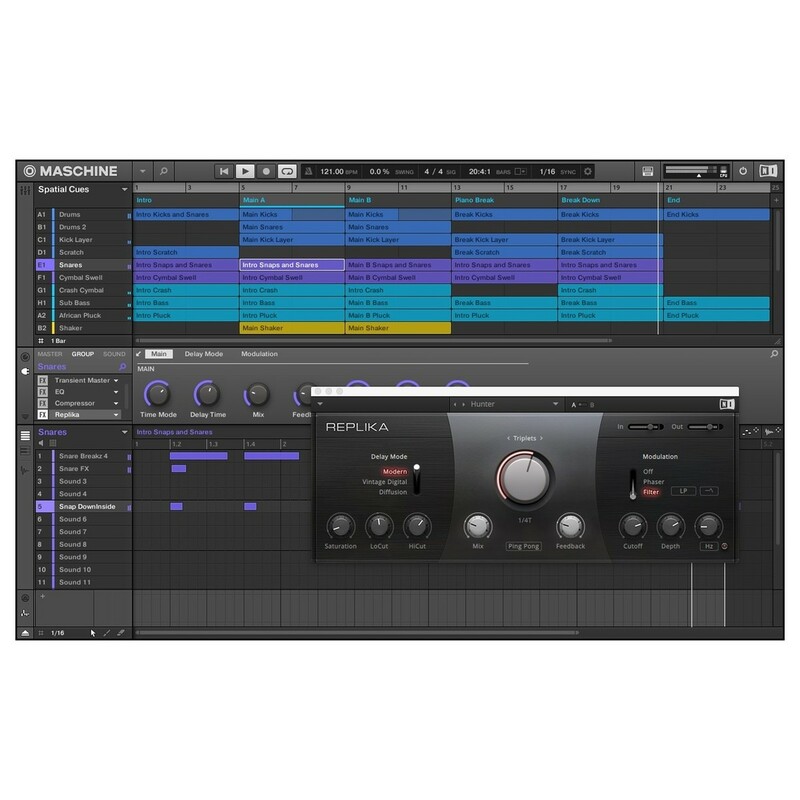 Also included is Komplete 11 Select featuring 11 premium instrument and effects, totaling over 25GB in sounds. You can also choose two of the Maschine Expansions from the 20 available, free with hardware registration for existing Maschine 2 software owners. 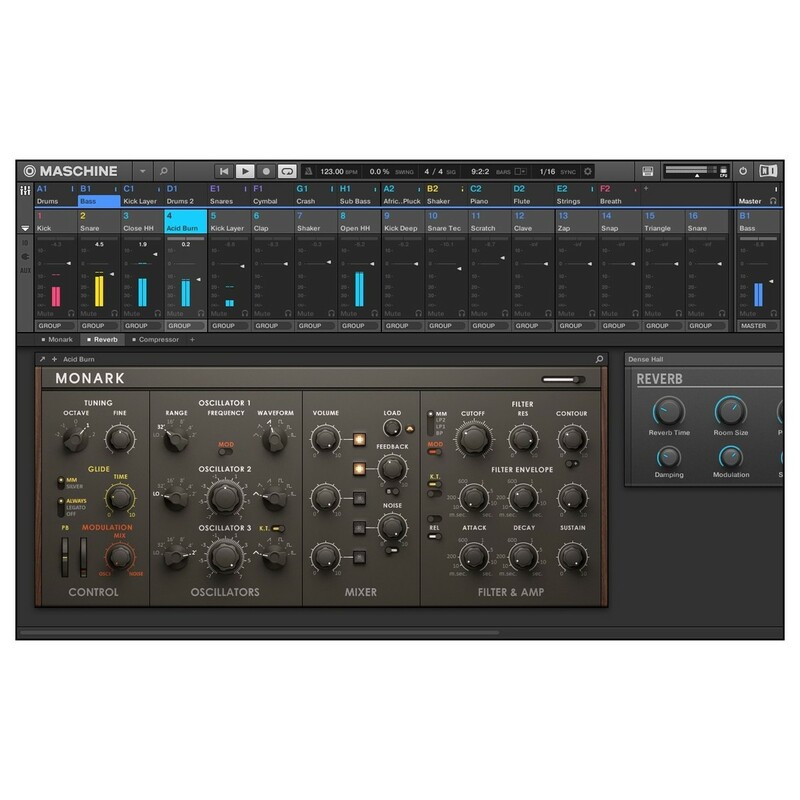 It also features support for external VST and includes mappings for Ableton Live and more. 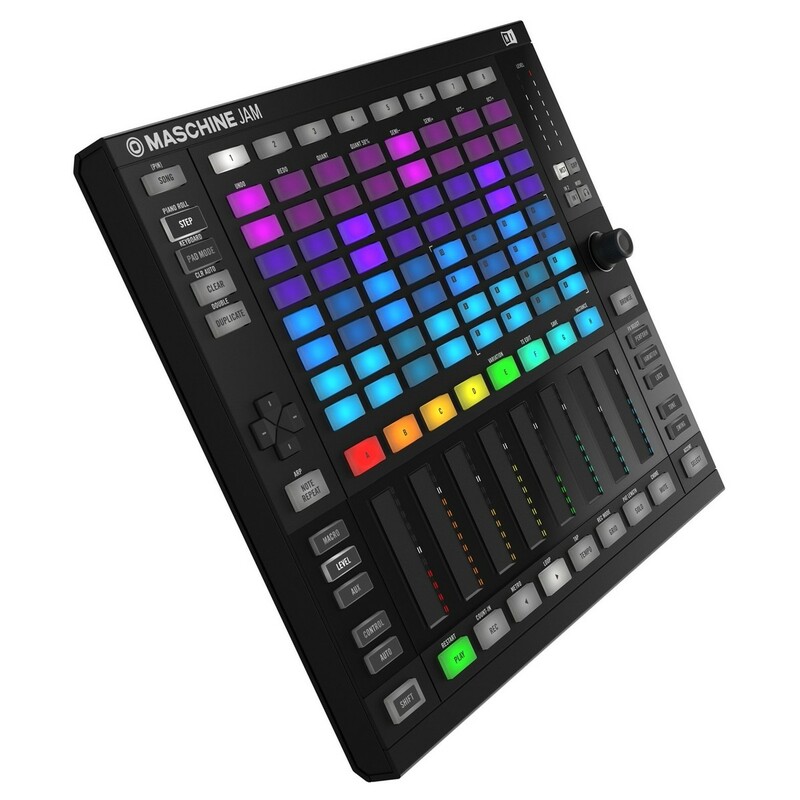 The Maschine Jam comes supplied with a stand that can be mounted to the hardware for improved ergonomics, or for live performance.